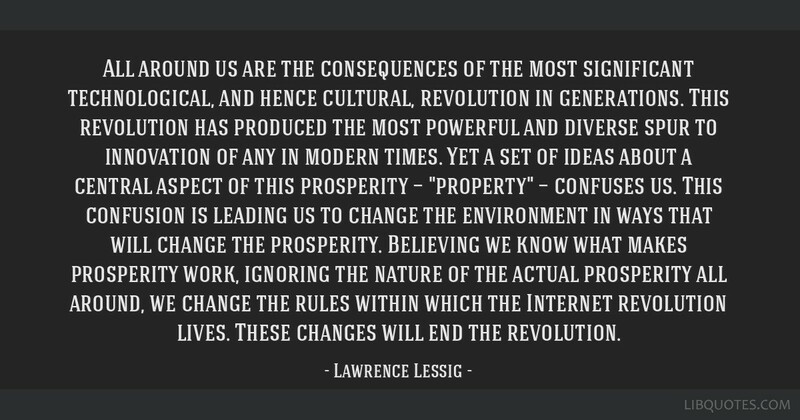 All around us are the consequences of the most significant technological, and hence cultural, revolution in generations. This revolution has produced the most powerful and diverse spur to innovation of any in modern times. 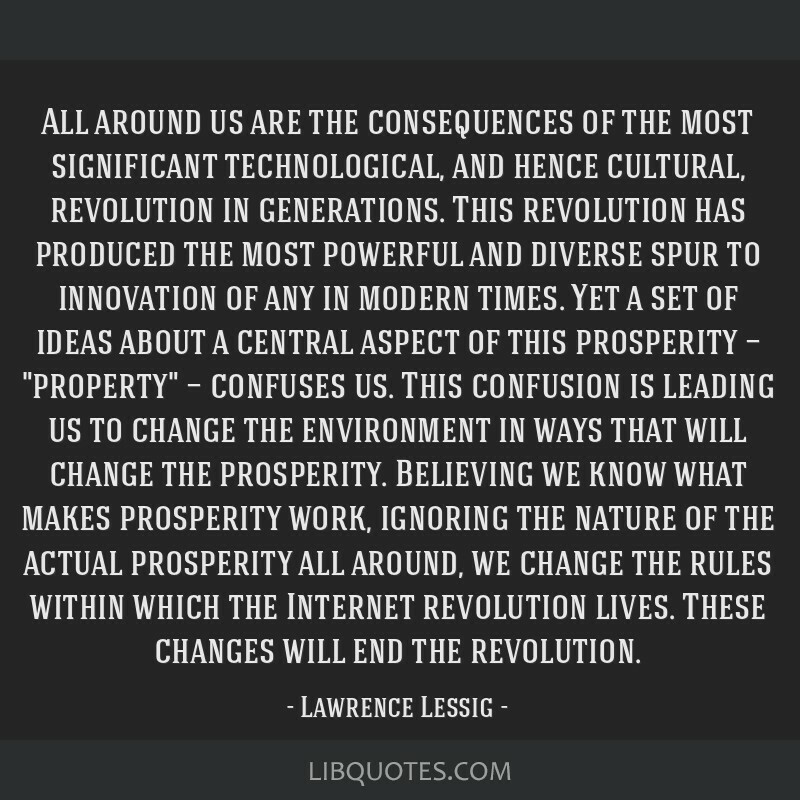 Yet a set of ideas about a central aspect of this prosperity — "property" — confuses us. 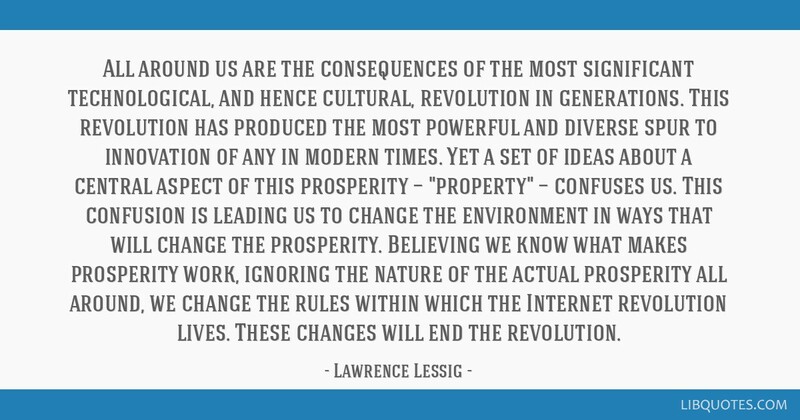 This confusion is leading us to change the environment in ways that will change the prosperity. 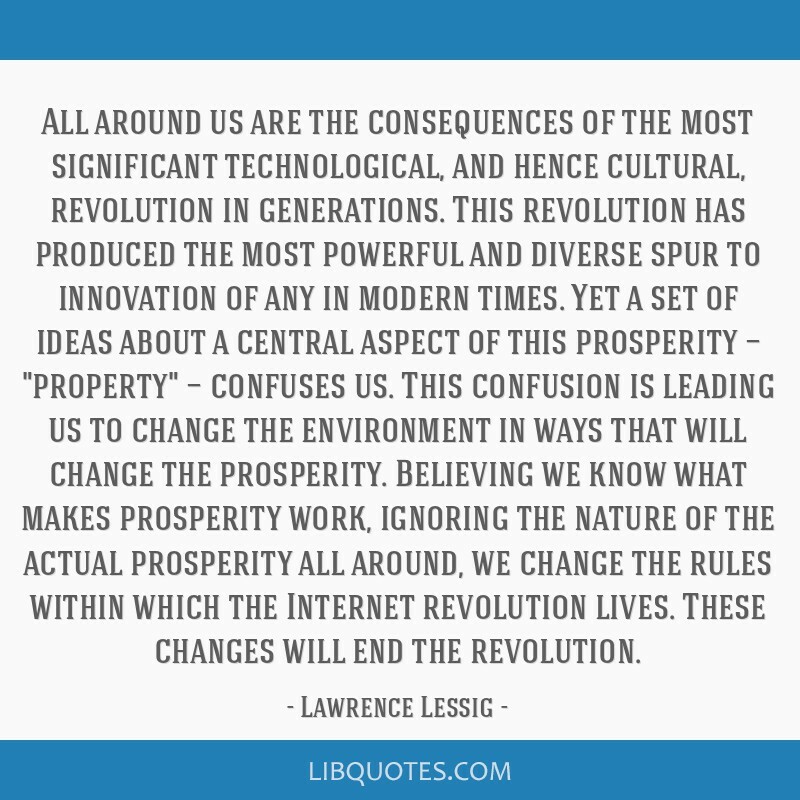 Believing we know what makes prosperity work, ignoring the nature of the actual prosperity all around, we change the rules within which the Internet revolution lives. These changes will end the revolution.